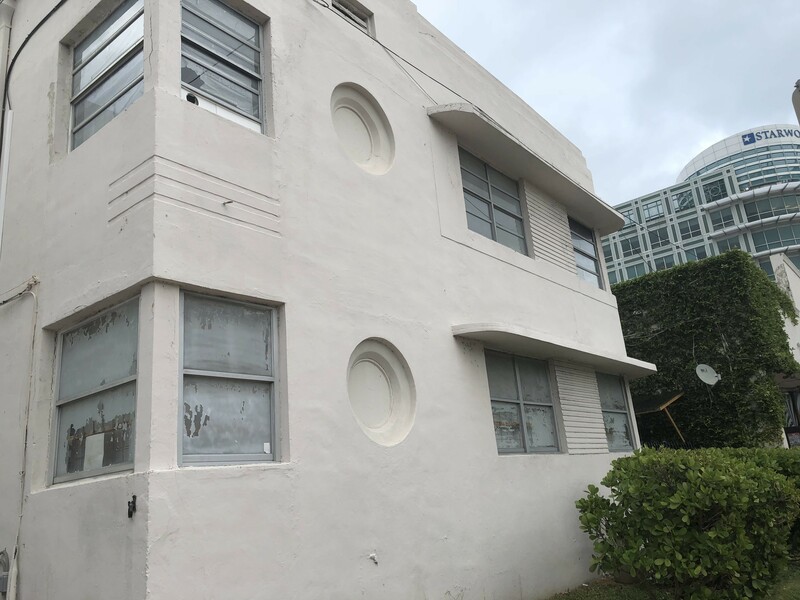 The Historic Preservation Board this week gave its approval for Paul Cejas to develop the property at 1600 Washington Avenue, a project which will include the first attempt to move and elevate a multi-family historic building in Miami Beach to both showcase it and protect it from sea level rise. The developer’s original proposal called for the total demolition of the two-story Henry Hohauser building at 425 16th Street. 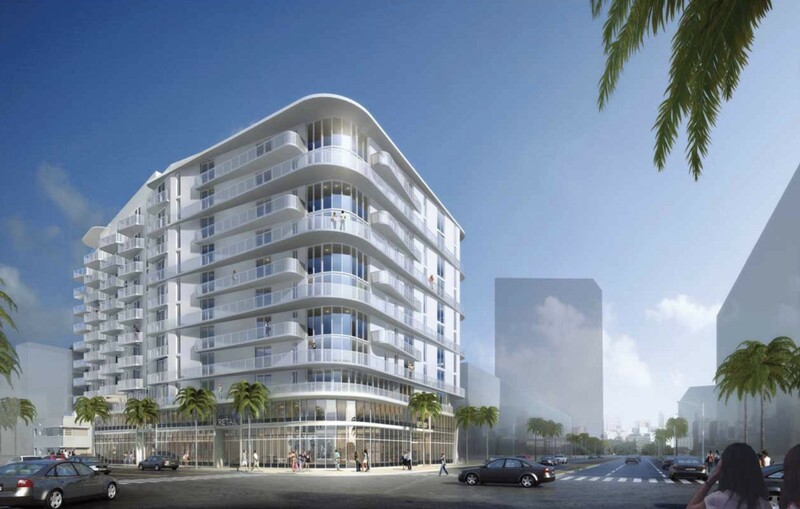 After the HPB unequivocally said “no”, he came back with a new plan that uses the historic structure as a focal point of the project, turning it into the lobby of the new 10-story residential building that will be attached to it. By moving the building further to the west, an open courtyard allows the building to be more visible. Elevating it, results in it being more resilient to flooding. The one-story non-contributing building at 1600 Washington will be completely demolished. A five-story parking garage at 1601 Drexel will remain. 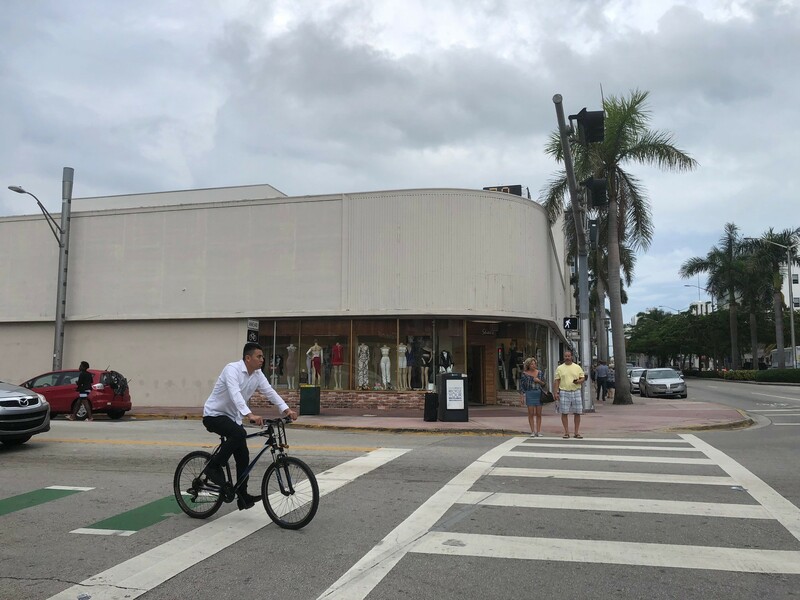 Attorney Monika Entin said currently the Hohauser building, which has an eastern-facing front façade, is only minimally visible due to the close proximity of the commercial building at 1600 Washington. She said the owner wants to restore the building and elevate it, both in its physical condition as well as its appearance to “make it a focal point of this project”. She noted the Board in January asked the architects to ensure the Hohauser building was a meaningful part of the project and not just integrated in a way that felt like an after-thought, a request which she said they took to heart. Before presenting the ambitious project, the team consulted first with the engineering firm responsible for moving a large home on Star Island. They agreed it was possible to move the Hohauser building which will be relocated about 40 feet to the west closer to the property line. Entin said moving it will create a “grand opening” via a courtyard between the residential building and commercial structure to the east. “It really does bring out this historic structure,” she told the Board. One concern discussed was the need to partially demolish the building due to City code which does not allow construction greater than one story above a historic structure. In order to build the larger residential building, the only option was to move and partially demolish the older building. The plan calls for keeping about 30 feet of the front façade on the east, about 16 feet of the west side of the building, and the entire south side of the structure. Entin said it will appear that the entire building was preserved and retained through replication. “The idea,” Entin told the Board, “is a seamless effort. One structure. 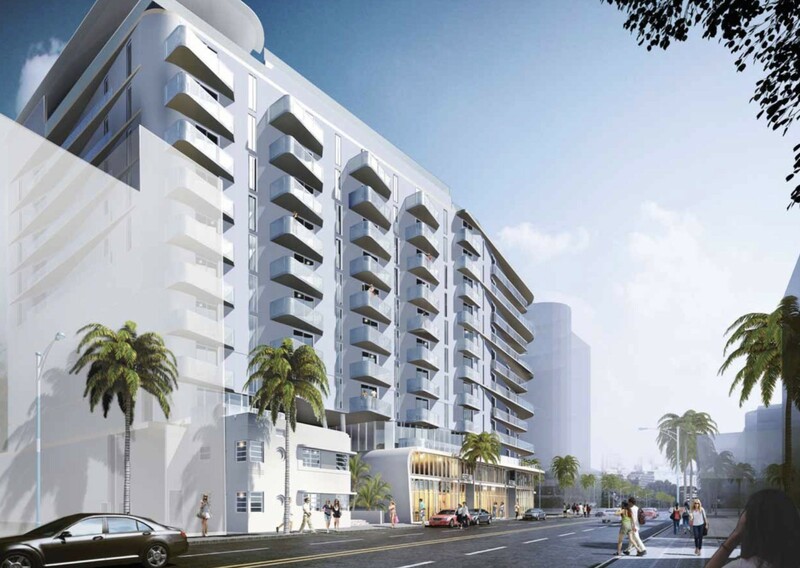 One façade.” She said the plan will “preserve and celebrate” the Hohauser building. Christina Villa of Stantec Architecture said the height of the commercial space will be the same as the Hohauser building. “There’s been a lot of thought into how that architecture relates to the two-story building,” she said. 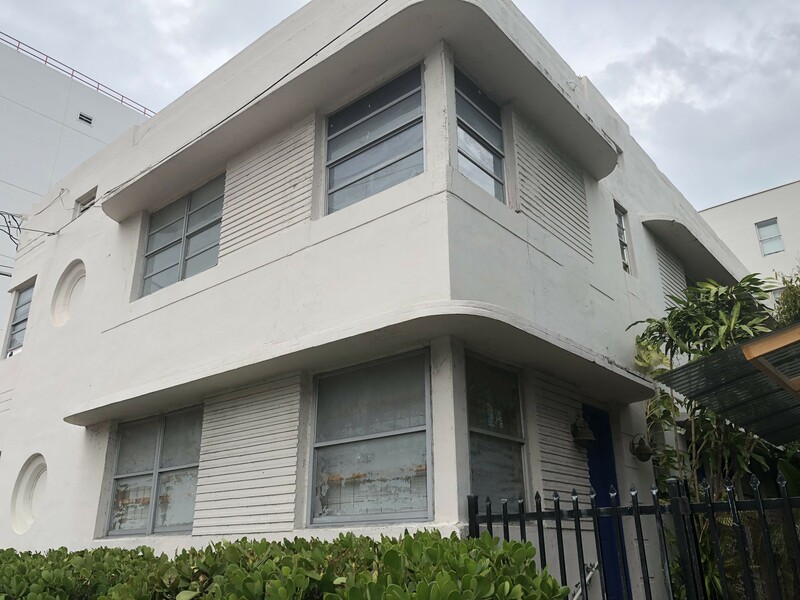 Daniel Ciraldo, president of the Miami Design Preservation League (MDPL), said, “We think this is great… I’m a little bit like ‘Wow, how far we’ve come.’” Ciraldo and MDPL have spearheaded workshops to showcase efforts to elevate historic buildings. He said five years ago people told him it was impossible to lift buildings for sea level rise. Since then, the home on Star Island was raised. 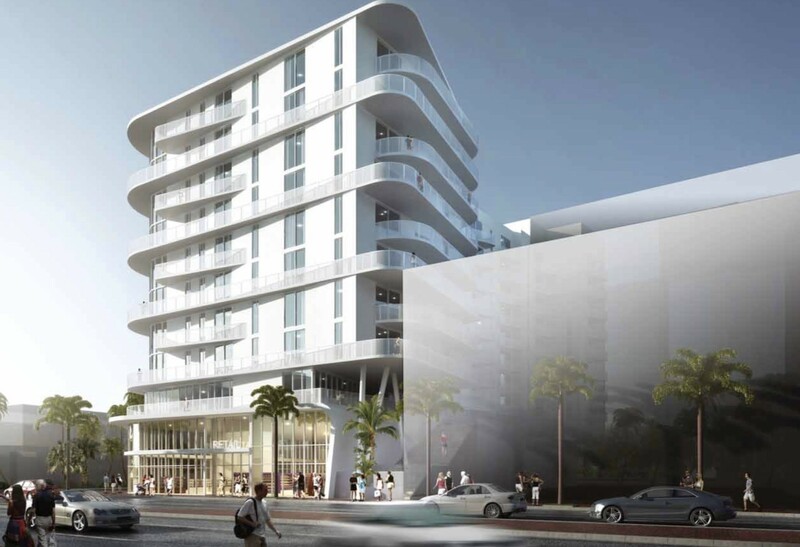 Ciraldo said this would be the first time that he’s aware that a multi-family building – “the typology that does make up the majority of historic buildings in Miami Beach” – would be elevated here. He said this could be “the sample project that we’ve all been hoping for” to move and elevate a multi-family structure. The Board voted 5-1 to approve the project with Finglass being the lone vote against. Because the project involves over 50,000 gross square feet in new construction, it also must go to the Planning Board. That hearing is scheduled for May 22. The Board also asked for a discussion item at a future meeting on the City code requirement that restricts construction over historic structures. 500-600-700 Alton Road: How High?